The Miami Heat basketball team has been in the NBA playoffs for a few weeks already and they are getting close to the NBA Championship. 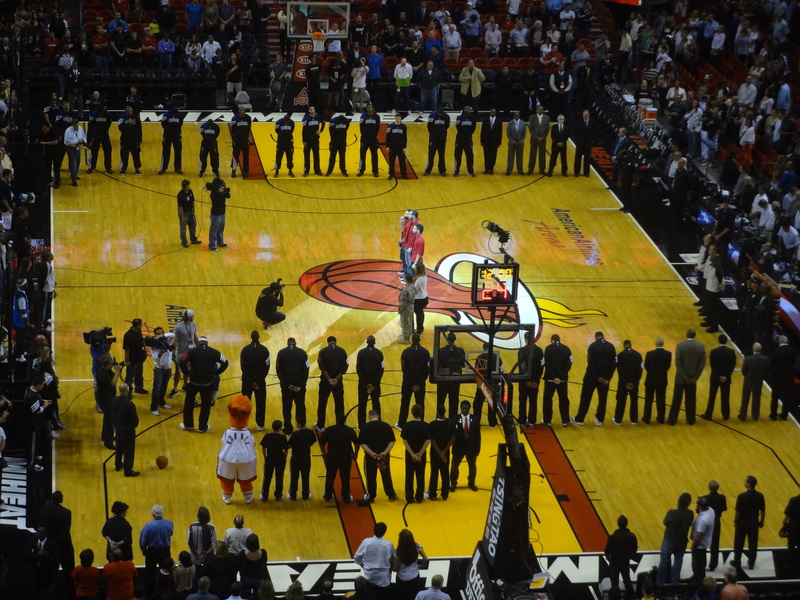 We know that we have many NBA fans at EC Miami who have attended our previous trips to the games, but it is very difficult to get group tickets to the playoffs. Even if you can’t go with EC Miami, you can still try to buy your own playoff tickets if you have the money. You can always watch the games in a bar or on your television in your apartment. While you are watching, it is important to understand the Playoff schedule and rules. There are many rounds of the playoffs because there are 16 teams, which compete in best of seven games. The team that wins the most games out of seven will continue on in the finals and possibly go to the finals. At the moment, it is the first round of the playoffs. 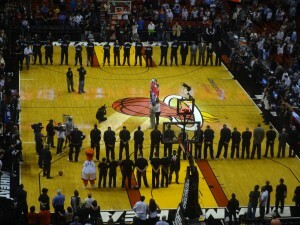 Right now, the Miami Heat are playing a series against the New York Knicks. They have won 3 games and New York has won 1 game. Therefore, tonight will be Game 5 and if the Miami Heat win, they have won the series. If they win, they will advance to the next round of the playoffs. They will play the Indiana Pacers. The playoffs continue like this until there is one final team in the East and one in the West. These two teams plays in a finals match (best of seven games again) to determine the best team in the NBA. It’s only the first round, but the Heat are doing well. Keep watching the games to see how much they can win and if they can be the Champions!